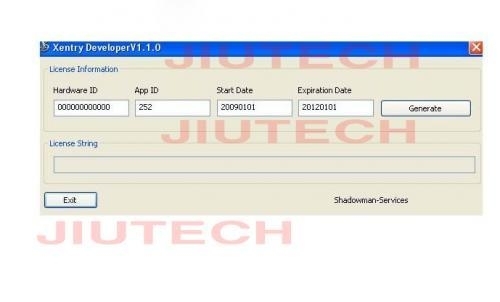 Xentry Developer Keygen for all APP I.D's(250,251,252,253 ~255). The keys produced from this Key Generator work on all current versions of Xentry. 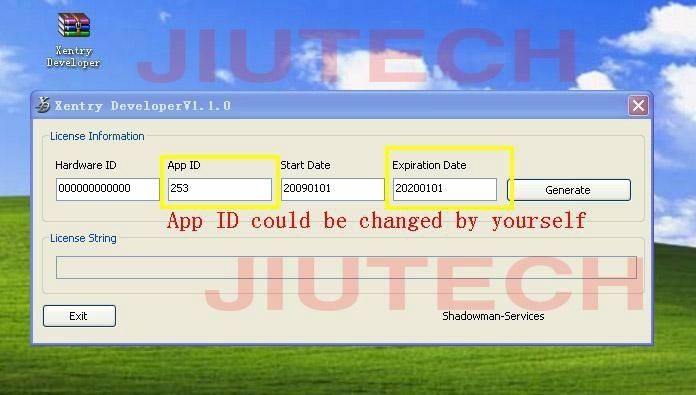 These special keys also remove the 3 month timeout restriction from Xentry.